IRVINE, CA--(Marketwired - December 14, 2015) - American Industrial Systems, Inc. (AIS) an innovator and the leader of Industrial HMIs, Industrial PCs (IPCs), Embedded Rugged Computers, Industrial Box PCs, Industrial DIN-Rail PCs, and Industrial Thin Clients, announces the suitability of their Industrial HMIs, PCs and Thin Clients to power an extensive range of Industrial Software solutions for automation, control and monitoring, process control and data acquisition applications. Combined with the appropriate industrial software package, AIS's comprehensive portfolio of open platform, HMI hardware solutions accommodate the requirements of a multitude of different industries, environments and applications. Their portfolio of hardware solutions include: Industrial Automation HMI Panels, Hazardous HMI Panels and Industrial PCs and Thin Clients. The one common denominator with all of AIS's Industrial HMIs is their open architecture design, which allows maximum compatibility with WEB, PLC, HMI, SCADA and MES applications. AIS's Industrial PCs also ensure network security and enables users to leverage new TCP/IP-based Networking, HMTL 5 Web Browsers, Web-Enable HMI/SCADA, Industrial Automation, Field Mobility, M2M, Industry 4.0 and Industrial Internet applications (IIoT). As an open architecture, HMI and visualization hardware maker, AIS Industrial PCs and Computers are paired up with industrial software as a bundled or integrated solution, and are used as the primary control, monitoring and automation gateway to empower operators and users. Industrial software is a collection of programs, processes and information used in sectors such as food & beverage, mining, chemical, power, oil, gas and other manufacturing industries. Loaded with the appropriate industrial software for a specific application, AIS's Industrial HMIs and/or Hazardous Areas HMI Panels perform functions ranging from basic control and monitoring, to highly specialized solutions for data acquisition, analytics, automation, production and other manufacturing processes. There are three categories of commonly used industrial software programs and tools utilized with AIS's Industrial HMIs, Industrial PCs and Thin Clients. Manufacturing Execution Systems (MES) industrial software packages combined with AIS's Industrial PC-based HMIs provide users increased operational efficiencies, quality and compliance and performance. They enable improved productivity through faster inventory turns, reduced production lead times and faster products to market. Supervisory Control and Data Acquisition industrial software powered by AIS Industrial computers and HMI Touch Panels crossover all areas of plant management, engineering, production and IT and allow comprehensive management of plant operations. AIS's HMI are linked to the SCADA systems and software to provide trending, diagnostic data and management information, such as scheduled maintenance procedures, logistics information, detailed schematics and trouble-shooting guides as well as alarm handling. AIS Industrial HMIs and Computers powered with Production and Manufacturing Software help manufacturing companies collect, store, retrieve and deliver plant floor and process related information to plant personnel at all levels, so they can visualize and analyze their processes faster and more effectively. AIS Industrial HMI Panels: the newest family of industrial touch panels feature a highly modular and scalable design with both touch screen displays and Box IPCs integrated and built according to specific customer needs and requirements. 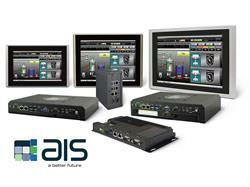 AIS Rugged HMI Panels and Thin Clients for Hazardous areas. They are constructed completely with stainless steel type 4/4X, IP 65/66, NEMA 4/4X enclosure with environmental ratings (UL 50 or IEC 529) on the entire system, and support extreme operating temperatures from -20 to 60° C (-4 to 140° F). AIS Intrinsically Safe and Explosion Proof Panel PCs can use directly in Class I Division 2, Zone 2 without additional certifications. Headquartered in Irvine, California, USA, American Industrial Systems, Inc. (AIS) offers in-house electronic and mechanical design, software development, manufacturing, production and quality control services. 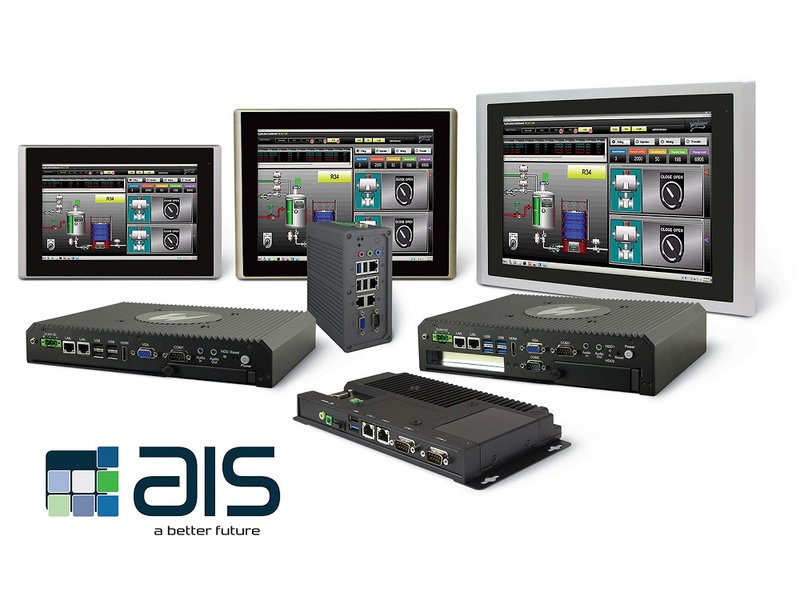 Offering one of the widest ranges of industrial computing solutions, AIS open platform control and monitoring solutions are available in a multitude of configurations for industrial, building automation, oil & gas, military and marine applications. The company's HMI solutions are key enabling technologies for the Internet of Things (IoT), Industrial Internet of Things, (IIoT), Machine-to-Machine Communications (M2M) and Industry 4.0 applications. AIS is fully committed to empowering, improving and delivering turnkey HMI, control, monitoring and display solutions for OEM, ODM and end-user customers. AIS is an ISO 9001:2008 certified supplier and manufacturer of rugged computers and displays, and received completion of the International Traffic in Arms Regulations (ITAR) registration from the Directorate of Defense Trade Controls (DDTC). For more information, visit: www.aispro.com, email: sales@aispro.com or contact: 1-888-485-6688. Industrial Software Powered by AIS Industrial PCs and Rugged Computers Provide a Powerful Combination for Process Control and or Data Acquisition Applications.